New in FME this week is a group-by option for the StatisticsCalculator. This has been a big user request for a while now, and will let users calculate max, min, mean etc for groups of features, rather than an entire dataset. It’s just a small demo to find average annual toothpaste expenditure for each postal code in the fictional city of Interopolis. This is the sort of thing that a census related customer like US Census or UK ONS might find of interest, as well as marketing companies interested in toothpaste; but there are many other instances where it comes in useful for example helping to create feature IDs by finding the max current value, or counting the number of items in feature groups. For the longest time we didn’t allow the use of floating licenses with Linux (I understand that was for business rather than technical reasons). However, as of Build 5136 for Linux, FME on Linux can now use a FlexLM license – it can connect to a license server on Windows, Linux, etc, and a license server can be installed on Linux as well. A number of new Python items this week, some of which you may know about but they’re worth re-iterating. As you probably saw, Oliver Heimann – a user from Germany, earned himself several gold stars by creating a superb Python Tutorial for FME. It includes info on accessing attributes, using FME functions from within Python, startup and shutdown scripts plus much more. On the subject of great user contributions, the user group had a new message this morning from Graeme Brown, a planning student from Halifax who acts as a consultant to Translink. 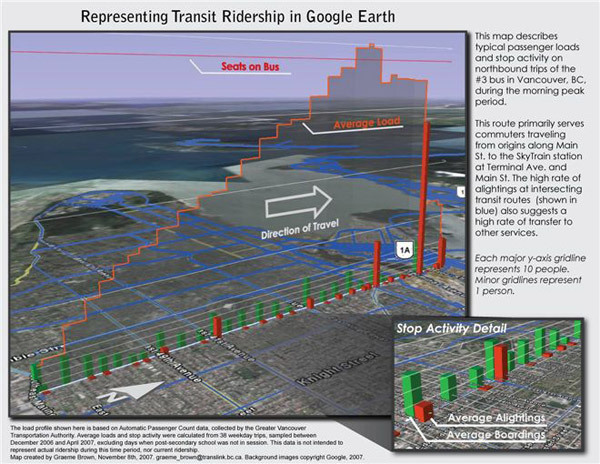 He has a great looking output of bus ridership in the Vancouver area – created using FME and the KML writer – that rivals Dmitri’s work in 3d displays. Having had to do this for a user I thought I’d share this example. The point is that the PDF writer is not only useful for 3d building models, a user can convert a point DEM to a TIN very easily, write it to PDF, and view it in 3D. If and when – as was talked about in yesterday’s lunch and learn – we can add textures to surfaces this would look even better! 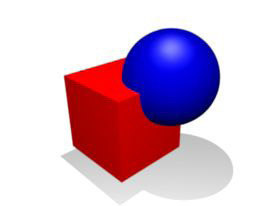 Speaking of the lunch-and-learn, if you didn’t see it you ought to know that we now (build 5137+) have a new factory and function that support CSG (Constructive Solid Geometry) boolean operations between solids. Also, as of build 5141 these CSGs are now supported by the PDF writer and the Geodatabase writer. “Ohhh. 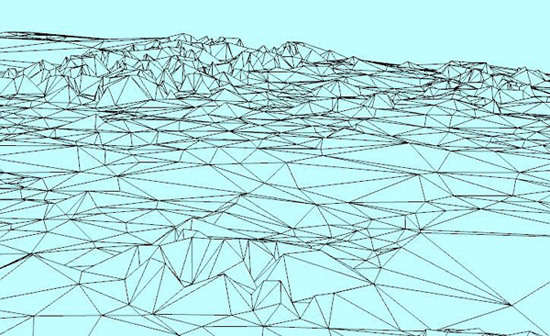 Does this mean that we can author Quake maps using FME? 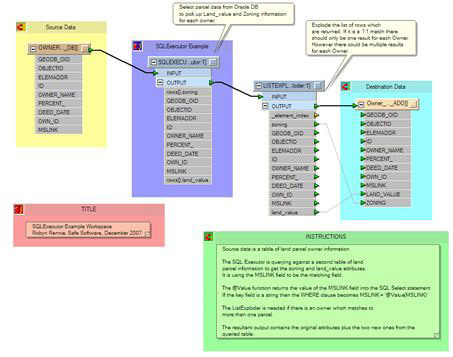 A new item on fmepedia this week is an SQLExecutor example workspace by Robyn. It’s a good example of reading attribute data and attaching it to a set of existing spatial data – with the twist that it’s using the SQLExecutor rather than the Joiner – and how to use lists when the result of the query is more than a 1:1 relationship. A final item this week is more for support type dudes – the marketing folk know all about this, but I know some folk at this end of the office missed out on the announcement. On November 27th Safe announced the release of a free FME FDO Provider for AutoCAD Map 3D 2008 which includes 9 formats.